Digital strategies are essential corporate-perspective roadmaps to a digital transformation of a company. This high level planning is required to ensure the company is reminded of the business goals and direction that are supposed to be solved from this digital integration. Why are chatbots important? A chatbot is often described as one of the most advanced and promising expressions of interaction between humans and machines. 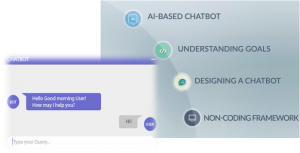 However, from a technological point of view, a chatbot only represents the natural evolution of a Question Answering system leveraging Natural Language Processing (NLP). GiT team of IT business professionals and digital enthusiasts are passionate about semantic technology and cognitive computing and how it will transform our world. 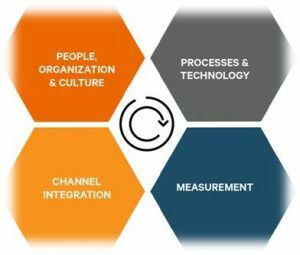 GiT offers capabilities, proven tools and methods to help our clients plan and execute programs of change, whether the program complements an organization transformation or focuses on more transactional change programs. GiT helped to define the scope of change management in its earliest days and our research initiatives, commitment to innovation and broad industry experience keep us at the forefront of the discipline and practice of change management. 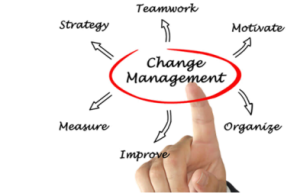 GiT can enable your company to manage change with precision and predictability to help realize measurable, positive business outcomes.